David will start by doing some quick checks from the latest 3D model received from the client. We will remodel some assets that are going to be promptly in our interior render view. After that, we’ll dive into creating the different textures and UV-maps needed to create a photo-realistic result. Depending on the visibility of an asset in the scene we will create high detail textures using a variety of techniques. Ones everything is set up, we will go over the lighting our scene. A default Corona sun is used and an HDRI-texture. David will go over some tricks to create lighting that is the best fit for this interior render. 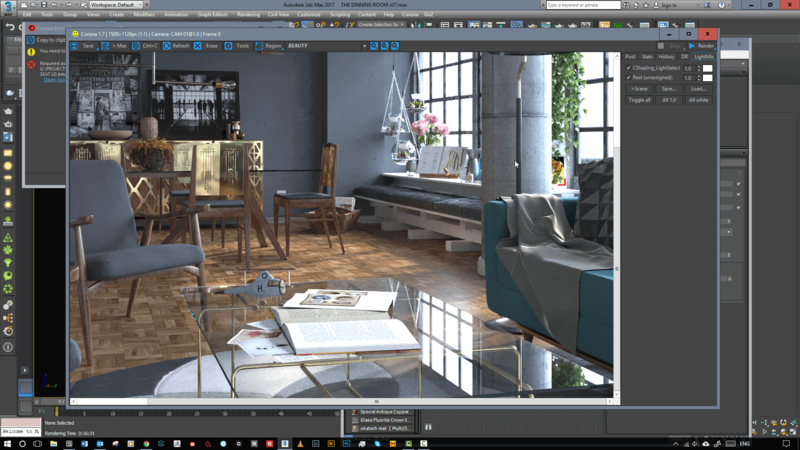 David will explain the settings used in Corona Renderer, our rendering plugin, and the various render elements we need to render for our final course Post-Production.